It is often said that I live a double life. As you explore your humanity do you too live a double life? As for me, I do not believe this to be true about myself; neither should you believe this about yourself. From the very beginning of my life I begin to prepare. I work. I am careful what I eat. When the time comes I build a home for myself. Humanity follows a similar path without the same focus and resolve, but with intention nonetheless. My journey is because I know no better, while you are given an infinite number of choices to my one, yet our eventual goal is similar. I prepare my life and my home. I do all the work. I am but a caterpillar and once I leave my home for the first time, I leave as a butterfly and they write poems about butterflies, but never about the caterpillar. As you work through your life, in this time, know that as a butterfly or caterpillar you will become all that you choose. I will/can only become that which I am, but the hard work will always allow us to spread our wings and fly. The caterpillar is focused and instinctively follows its path because it knows no better and has one choice, but reminds us the we are given an infinite number of choices that we as humanity can make. The poets often forget the caterpillar, yet always romanticize the butterfly in their poems. 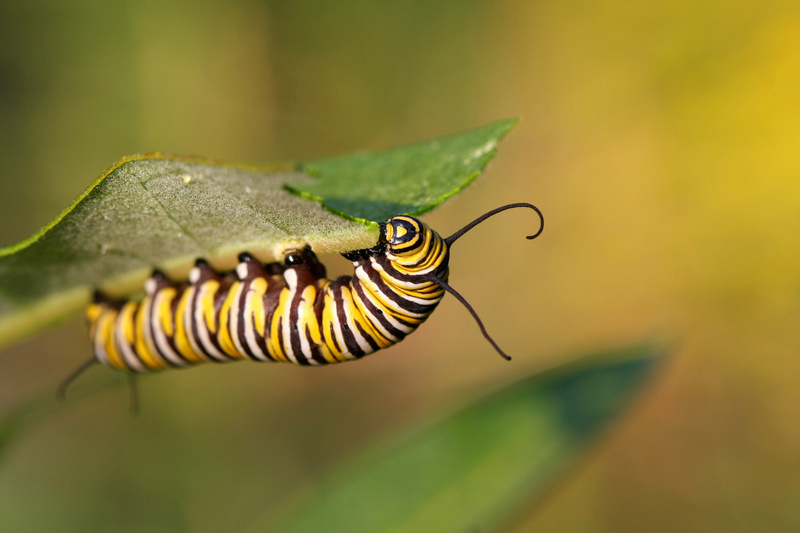 How beautiful is this rebirthed state of being, but also how focused and resolved is the hard-working caterpillar so it can become its beautiful self. Remember, the caterpillar doesn’t see its self as living a double life. It sees its life as one continuous pathway of evolution. It’s while this life form is in its caterpillar state that it does all of the work so it can evolve into a butterfly. Reflect back upon your own life and notice how you too don’t exist within a double life and that every moment is but a continuation into the next, linking every single moment together into a grand rebirthing of infinite possibilities for your self by your choosing in each moment. Let us not forget our caterpillar self that works deliberately, focused and with resolve to become that beautiful butterfly. We often go back and forth within our lives as being the caterpillar and then the butterfly and then back to being the caterpillar and then the butterfly and so on and so on. Yet, It is found within this process that translates as the ebb and flow of our lives from working, building, doing, intending and focusing on that which we choose to grow and develop in order to open up the beauty within ourselves and become OUR OWN agent of transformation. This process is our springboard into the next phase of our evolution not unlike that focused caterpillar’s work. And the caterpillar reminds us that no matter what stage we find ourselves in, the tough stuff, the trials and tribulations, the ups and downs, the ebb and flow, all of the hard work will ALWAYS, ALWAYS and ALWAYS allow us to spread our wings and take flight…. Within this message, they bring forth a guest speaker, the caterpillar, to share its message with humanity. Interesting article. Caterpillars are self-works deliberately focused and with resolve to become that beautiful butterflys. Thanks for the share. Hi Jayaraj. You are welcome. It really is interesting how often we focus on the beauty of the outcome, while forgetting the beauty found in the determination.